Having attained the maximum certification level from five home inspection organizations, I have retained my membership in the two largest and best known -- ASHI the oldest, most prestigious association in United States and Canada, "the gold standard of home inspectors," and interNACHI the largest, most prolific home inspection organization worldwide -- each well known to real estate professionals throughout the United States and Canada. Certification by the two leading home inspection organizations ensures that you have found an inspector who is a consummate professional. 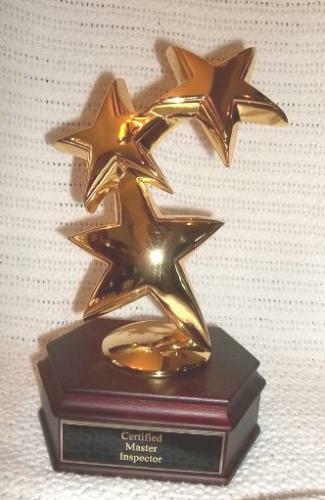 I am one of the only home inspectors in the Wine Country to pass the National Home Inspector Examination by the Examination Board of Professional Home Inspectors (EBPHI), the very exam used by many states that license their home inspectors. You will benefit from receiving personal service and attention directly from the owner/inspector -- rather than dealing with a multi-inspector/employee company, or a franchisee of a company headquartered in another state. Every year, I attend national seminars and conferences, take audited classes and proctored exams to maintain the highest level of skills and I have served on the Board of Directors of two home inspection organizations for two terms each. I attended ASHI's Inspection World Conference in Nashville and NACHI's Inspection Conference in Las Vegas for the advanced education which is invaluable. While it may be expedient to obtain education and certificates on the Internet, when it comes to your family's health and safety, credentials obtained online may not be enough. Experience makes a big difference if you are relying on an inspector's expertise when you are making one of the largest investments in your life, and experience cannot be purchased online at any price. ASHI Certified Inspector, Member 2008 to Present- ASHI Certified Inspector #249171. 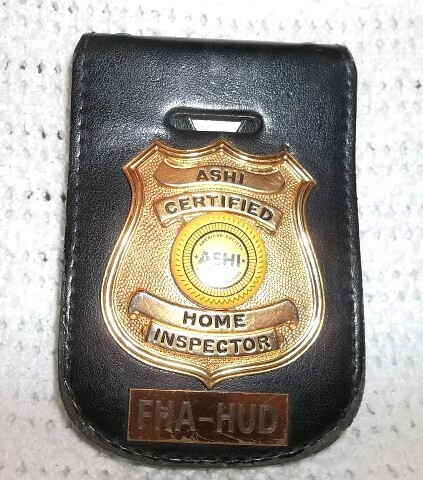 American Society of Home Inspectors (ASHI), founded in 1976, is North America’s oldest and most respected professional association of home inspectors. ASHI’s goals have always been to build customer awareness of the importance of a quality home inspection and enhance the professionalism of home inspectors. 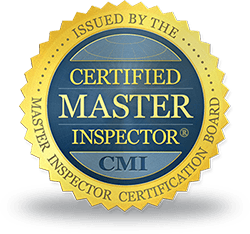 Certified Master Inspector, Member 2006 to Present - NACHI ID 06082094. International Association of Certified Home Inspectors, (InterNACHI), is the world's largest, non-profit inspection association. 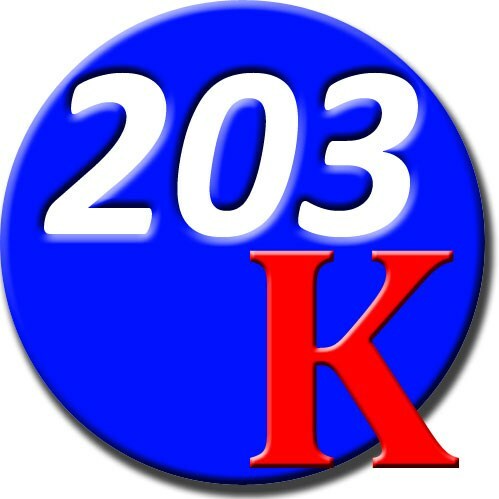 which is now part of Kaplan Professional Schools. I have taught home inspection classes and been approved as an instructor by the states of Washington, Oregon and Nevada which license their home inspectors. I carry general liability insurance and errors and omissions insurance. I take 40 - 80 hours of continuing education annually to stay abreast of changes and comply with my membership renewals. I built my first house when I was 10 years old. It took me two years. My father helped - he was an engineer. I have built custom homes, apartment buildings, modular homes and set mobile/manufactured homes. Even so, when I decided in 2002 to utilize my knowledge and become a professional home inspector, I found I had a lot more to learn and I took the training, then attended classes, conferences and seminars to focus on the detail of each discipline in building structures. 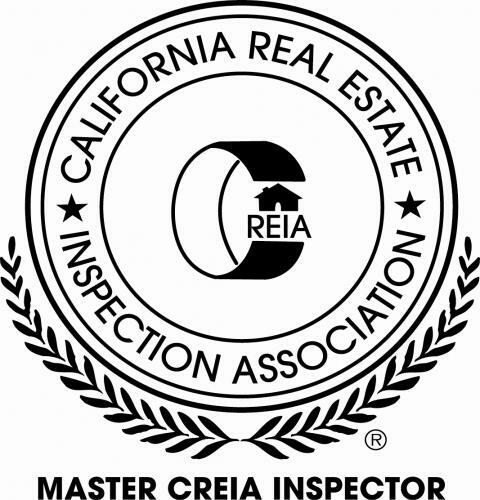 With over forty years of experience in construction, building trades, real estate development and real estate sales culminating in Wine Country Home Inspections since 2002, I offer an objective, unbiased professional opinion based on my vast experience, certifications and continuing education in the home inspection field. I continue to learn and stay on top of the latest in methods and materials. I promise you will not find a more experienced or competent home inspector and no other inspection report comes close to the detailed and easy to read report I provide. Having completed many different types of Wine Country Home Inspections over the years as well as commercial property inspections, mobile & manufactured home inspections, stage construction inspections, mold inspections, energy audits, water quality, air quality and even a wine cave, I can assure you, you will receive the best possible inspection and service. For the Best Wine Country Home Inspection, call me at 707-245-7545.